The Executive Office of the President and the Office of National Drug Control Policy released an updated National Drug Control Strategy (the Strategy)—the first during the Trump presidency. It identifies the president’s priorities for combating illicit drug use in the U.S. and draws upon a 2017 report from the Commission on Combating Drug Addiction and the Opioid Crisis. This Strategy focuses on reducing access to drugs (illicit and pharmaceutical), improving access to treatment and recovery programs, disrupting illicit drug trafficking networks, and improving education and awareness programs. The predominant metric for success is identified as a reduction in number of people dying from drug use and overdose in the U.S. The Strategy addresses the current opioid crisis, which President Trump declared a public health emergency in 2017, and recognizes the emerging threat from synthetic drugs. 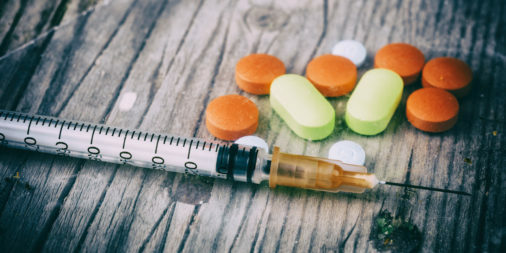 Synthetic drugs can be cheaper to make, easier to traffic, and more potent, possibly drawing a larger interest in the drug trafficking market. An increase in cocaine production and distribution since 2015 is also noted. The President’s goal is to build a “stronger, healthier, drug free society today and in the years to come by drastically reducing the number of Americans losing their lives to drug addiction in today’s crisis.” The Strategy asks that federal, state, and tribal governments, the healthcare industry, local communities, and foreign partners work together to combat the challenge of drug use and addiction. Some of the links in this report require institutional access, click here to access the full report.